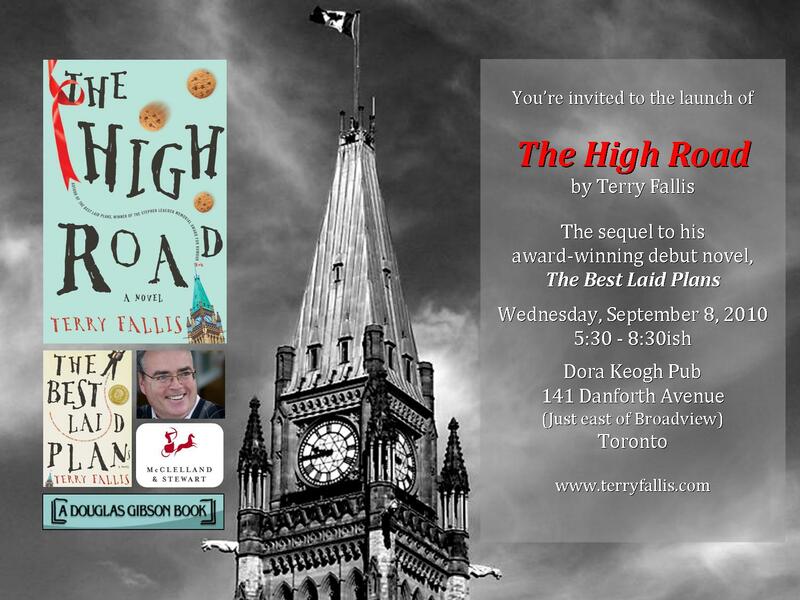 If you’re going to be in the Toronto area on September 8th, or even if you’re not, you’re all invited to the launch of The High Road. 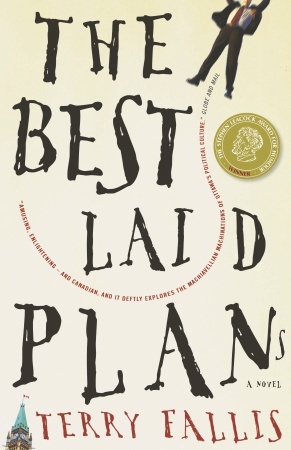 As we did for the launch of The Best Laid Plans in the fall of 2007, we’ll be gathering at the wonderful Dora Keogh pub on the south side of Danforth Avenue, just east of Broadview. There’ll a couple of brief (I promise) speeches and a short reading, but really the night is more about socializing and having fun. Books will be available for sale and there’ll be plenty to eat and drink too. You can RSVP over on the Facebook event page. H ope you can make it. 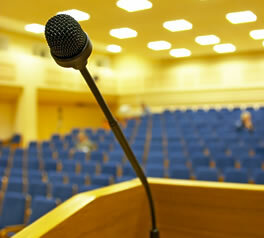 I was warmly welcomed by 60 or 70 members before I was invited to the podium.Â I talked about my rather unorthodox journey to the published land and read a couple of passages from TBLP.Â We had a few laughs and there were even a couple of audience questions at the end. Afterwards, Allison from Book City, a wonderful independent bookstore in the area, sold about 20 or so books, which I dutifully inscribed.Â The passionate bibliophiles at Book City, particularly the Yonge and St. Clair location, have been very supportive, even when I was peddling the self-published version of TBLP.Â Thanks to Chris and Allison and the rest of their team. I have several speaking gigs coming up in the next few months ranging from book clubs to public libraries.Â If you have the slightest interest in where and when I’ll be talking about TBLP, you can check out the Appearances page. Many thanks to Sandra Connery for inviting me to speak at the Women’s Canadian Club of Toronto.Â I had a great time.